Ninja Laser combines the mechanical and electronic precision to guarantee unique key cutting performances and quality through two different technologies: a variable speed prismatic cutter and an end milling cutter to cut with maximum efficiency door and automotive edge cut keys, laser keys and Tibbe keys by code, decode or depths. Ninja Laser is designed to better meet the requirements of the professional thanks to the mixture of these two technologies, which allows the combination of maximum cutting precision together with exceptional performance, at the same time guaranteeing extended use of the parts of the key cutting machine. Keyline S.p.A. is the exclusive owner of the Patent for Utility Model awarded to Ninja Laser in Italy (n. ZL2015200493) and China (n. 0000280987). The Utility Model protects the innovative double cutting station that characterizes Ninja Laser and that makes it a high performance and versatile machine. 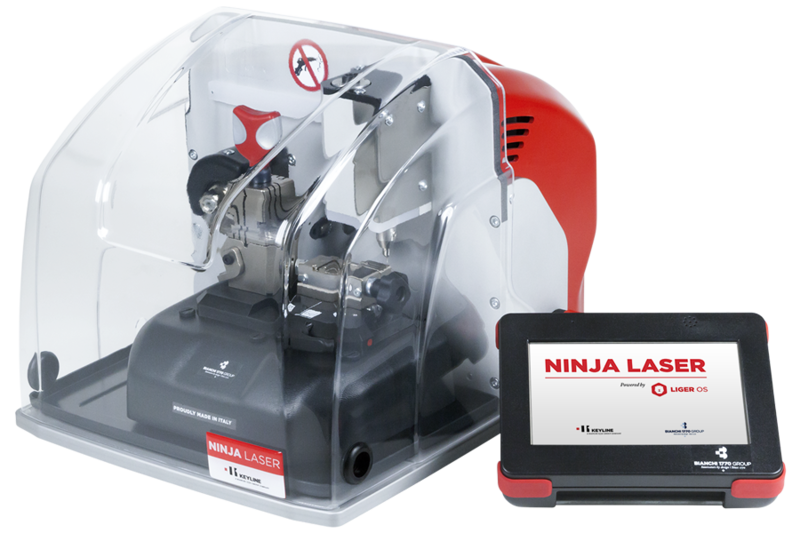 One of the highlights of the Ninja Laser is the AC clamp that combines in one unique solution one clamping system to cut most of the laser keys in the market. This innovation expands the wide range of clamps – from the four sided functional one for door and automotive edge cut keys to the Tibbe systems – and makes Ninja Laser the standard key cutting machine to duplicate every model of automotive keys, as well as edge cut door keys, present in the market. The Liger software developed by Keyline stands out for its capacity to process every cutting system and easily receive software updates. Complex operations are made extremely simple and intuitive thanks to the modern color interface, which is simple and easy to learn. Ninja Laser is standard equipped with a USB port, LAN ports and serial ports. 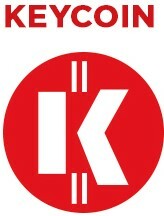 Learn the procedures to search by key blank, decode and cut laser keys with Keyline Ninja Laser. Learn the procedures to cut by code Ford Tibbe keys with Keyline Ninja Laser. Learn the procedures to search by key blank, decode and cut edge cut keys with Keyline Ninja Laser.